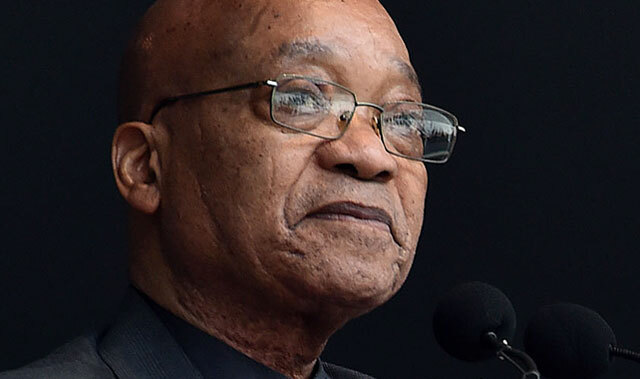 The Gupta brothers’ friendship with President Jacob Zuma has been made a “little more difficult” since allegations of state capture emerged this year. Gupta spokesman Gary Naidoo said the Guptas continue to have a relationship with Zuma. “Naturally, it doesn’t help with media reports tainting the relationship and throwing out wild accusations,” he said in a telephonic interview on Saturday. The Guptas have majority shares in Oakbay Investments, which owns The New Age newspaper, ANN7 television news channel, Sahara Computers and the Optimum coal mine. They also have shares in Oakbay Resources and Energy, which owns the mining company Shiva. The Guptas resigned this year from all positions after their auditor KPMG, their JSE sponsor Sasfin and all South Africa’s top banks cut ties and blacklisted the firm. This occurred as the Guptas’ friendship with Zuma came into the spotlight with allegations of state capture. Zuma’s son, Duduzane Zuma, is a business partner of the Guptas, which highlights the level of trust the families share between themselves. Allegations that the Guptas handpicked Mosebenzi Zwane to be mines minister and Des van Rooyen to be finance minister intensified when deputy finance minister Mcebisi Jonas claimed they offered him the role before Van Rooyen was chosen. The Guptas, Zwane, Van Rooyen and Zuma all deny these allegations. “The [Gupta] family has taken quite a bit of strain,” Naidoo said. “They’re a very private family [with]very traditional family values and [have a]close family knit. Media reports speculated that the Guptas had left the country for good earlier this year, while last week a news report alluded to the Guptas taking money out of the country. A source told a Sunday newspaper that teams from the South African Reserve Bank and Financial Intelligence Centre had asked the Indian Bank of Baroda for documents on deposits made by the Gupta family into their accounts in the bank. The money trail apparently stops in these banks, which means the money might have been taken to an offshore account, which a government source told the newspaper is likely in Dubai. The source told the Sunday Times that the only conclusion one could make is “that the money is going to be taken somewhere else”. “The media made wild accusations of money leaving the country, of being taken out of the country in large amounts, which is physically impossible,” he said. “They’ve made mention of the Gupta family leaving the country,” he added. “One of the sons of the Gupta family was getting married and the reason for them being out of the country was for the wedding. “They’ve subsequently come back to the country,” said Naidoo. “They’re very much South Africans and they continue to stay South Africans. They believe in South Africa, they believe in the people, they have a responsibility, which they’ve shown clearly to their staff. Now …. innocent again? How about the coal for ESKOM …. nobody charged on tender fraud? Siestog man…. the law is lame. I’m surprised that Gary Naidoo is surprised that the Zupta relationship has become “difficult”. That’s what happens when corruption is exposed. It seems then that state capture for political & financial gain is a “Very traditional family value.” Not surprising given the company they keep. As for “believe in the people” they have absolutely no respect for the people, they themselves have proved this to be so.